"El sketching no es ilustración científica. 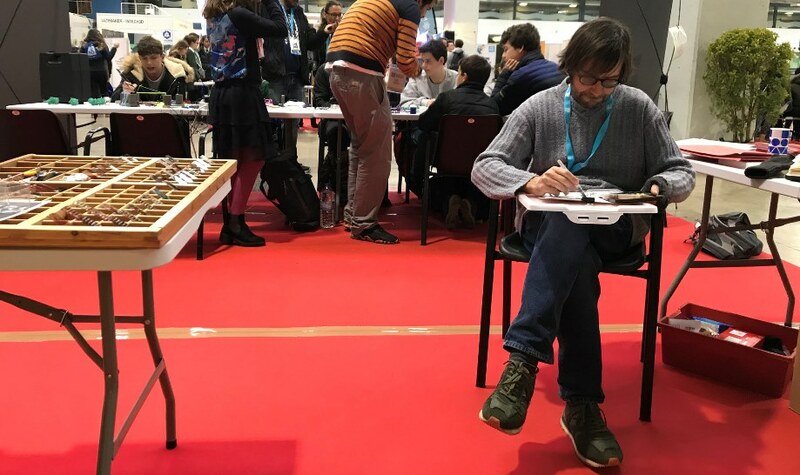 El sketcher no pretende describir cada músculo, hueso, pelo o detalle sino ofrecer una impresión subjetiva, que represente el objeto sin retratarlo. El científico intenta explicar cada fenómeno con absoluta precisión, de forma minuciosa, aspirando a la exactitud. El sketcher aterriza con sus líneas trazadas a mano alzada y manchas de contornos difusos, a contracorriente de la tiranía del píxel, cuando todos llevamos una cámara implacable en el bolsillo. Sketching científic IDIBAPS and Sketching Diabetis IDIBAPS: two books about the research at the center and diabetes; sketching workshops and an exhibition with the final results. Sketching científic CRAG: a book about the research at the center, a sketching workshop with more than 100 participants, two exhibitions and a roundtable with the authors of the book. A sketching workshop during the Kids' Day at ICMAB. "Sketching a scientist", at YoMo, with the ICMAB stand. 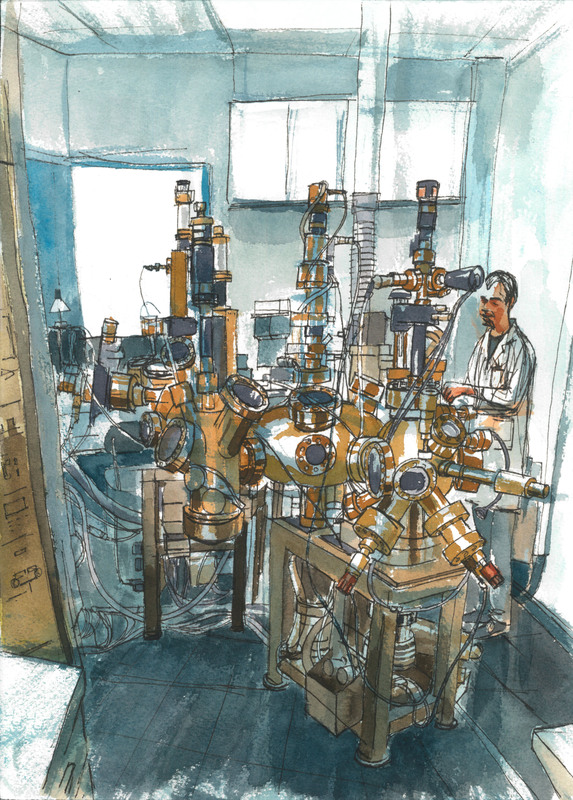 The illustrations for the ICMAB Annual Report 2016 and Annual Report 2017, in which various installations and every day scences of the Institute are represented. The PLD lab, image of the ICMAB Annual Report 2016. "El laboratorio de Pulsed Laser Deposition es una imagen estrella del ICMAB, que suele aparecer siempre en los dossiers, resúmenes, vídeos, etc. Yo lo vi y dije “me lo pido” pero quise representarlo con la persona que lo opera, para sugerir que las máquinas, por complejas que sean, no funcionan solas."